In Japan, Makoto Aida is a well-known hammersmith. Under his brand SHINZAN, which freely translated means "Deep Mountain", he produces carefully crafted forging hammers. The surface is largely left as it was forged with the look accentuated by the rough pattern of hammer blows. The hammers are relatively small and intended for more delicate work. Which is one reason why they are available with head weights from 75 g upwards. They come with short handles chosen for especially easy handling. Selective hardening of the striking surfaces means that part of the recoil energy is absorbed by the somewhat softer core of the steel. You feel you’re working more effectively, also because less of the recoil energy makes it way back to the wrist joint. Although it’s called a forging hammer, you’ll enjoy using this eye-catching hammer for quite different tasks. The short handle and small head size make it ideal for adjusting the blades of wooden planes and for many other tasks around the workshop. The hammer is supplied with a handle made of white oak. Note that the hammer handles are sometimes just fitted provisionally in the more humid climatic conditions of Japan. Our dryer climate can cause the wooden handle to shrink slightly and become loose. If this is the case, you need to refit the handle and possibly readjust the hammer head. The best way to do this is to knock the end of the handle onto a firm surface. Keep checking that the hammer head is at right angles to the handle and correct as necessary. Finally, drive the wedge at the top a bit further in with a hammer, if necessary. 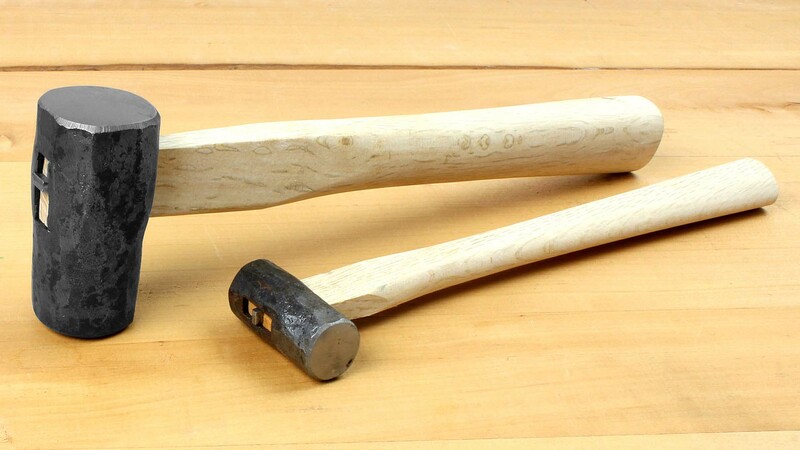 These hammers are hand-forged, so you may notice slight deviations in weight and dimensions.